I love these little, expensive bars of raw chocolate! 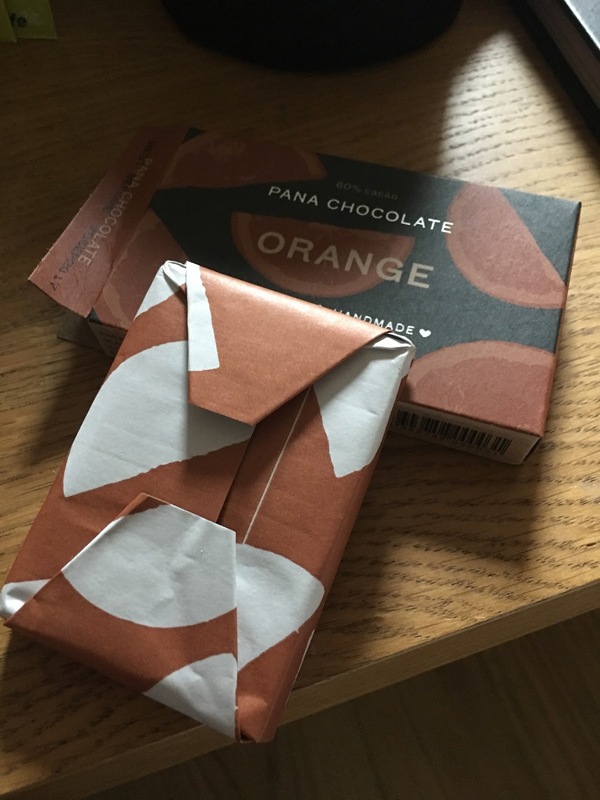 I think this one was maybe £3 for 45g of chocolate which is probably a bit crazy - but within this stylish, present grade packaging you get six squares of unbridled joy. Small enough to drop in a pocket or a handbag. And with hearts and messages of joy! 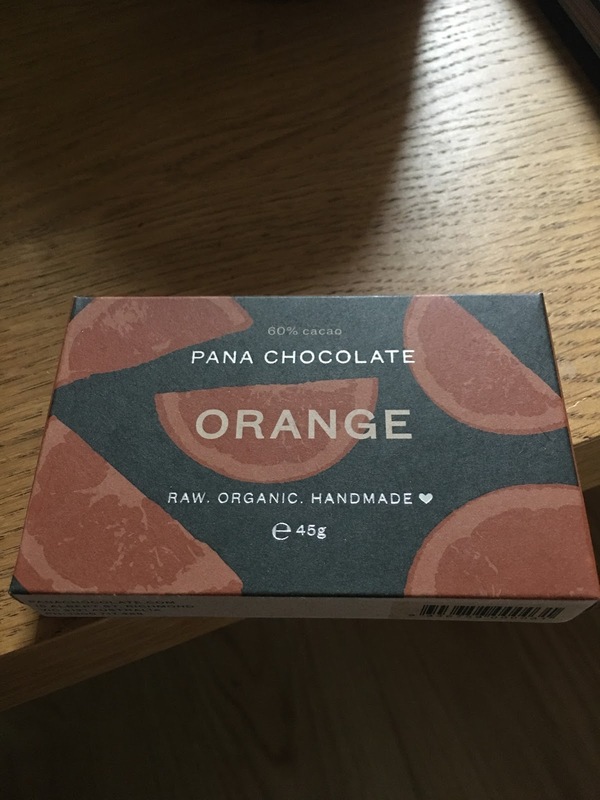 And the smell is just solid chocolate and orange oil from the second you crack the box. 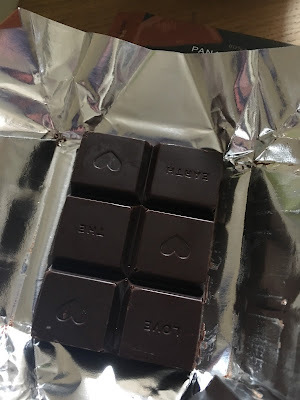 You just need a single cube too - it's got all the richness and flavour you'd expect alongside that pre-melted chocolate texture that raw chocolates do so well. Can I tell the brands apart by taste and texture? Not even slightly - I think that's why the packaging is so important! That's not so important though - these are just heavenly and all about that intense taste and luxury feeling and are amazing after a meal. Probably not for sharing then.